Hey, fellow Crypto Astronauts! Time flies, September is over, and Changelly keeps on moving. Now it’s time to show you what we did last month. Autumn became the time for new beginnings. We officially announced Ilya Bere, our former COO, to succeed Konstantin Gladych as the new CEO. We are so grateful to Konstantin for building a great product and team of professionals who passionate about what they do. Together with Ilya, they made a significant contribution to Changelly’s brand making the service one of the most prominent cryptocurrency exchanges in the industry. Now it is time for Ilya to lead the company in a turbulent field of cryptocurrencies and to keep the status of the best instant swap platform in the industry. September was full of new experiences and hot on meetings. We’ve participated in the largest crypto conferences, such as Token Fest, World Blockchain Forum, Litecoin Summit and Consensus. Our team leaders presented Changelly to wide audiences and gave lots of interviews to the coolest crypto bloggers. During our crypto-tour, we met hundreds of our dearest partners, found new friends and just had a good and productive time. For more detailed description of what we’ve been doing, read our Changelly’s on Tour Overview with photos, interviews and insights from the most prominent opinion-leaders. We are so happy to offer now instant swaps on-the-go. If you are an Android user, go to Google Play and download our handy mobile app right now to have all the features of Changelly service in your pocket! This month, was also fruitful for new partnerships, bringing more great wallets into Changelly family. 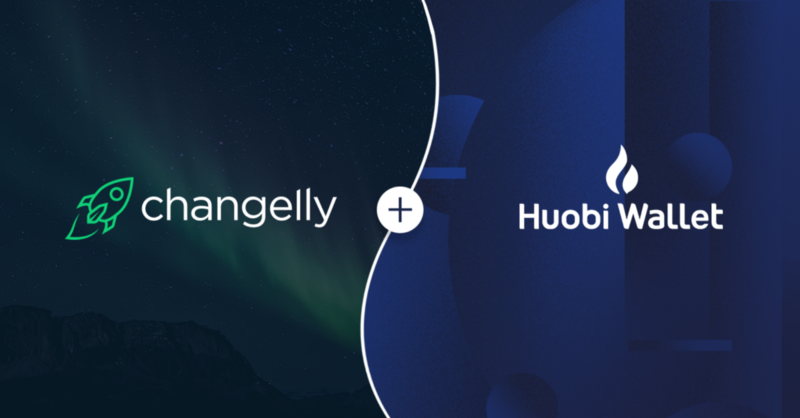 We are happy to announce a breakthrough partnership with one of the biggest wallets on the Asian market, the official Huobi Wallet, now empowered with Changelly exchange tool. This partnership provides great possibilities for growth in the Asian market. We have also partnered with the leading wallet on African market — Sato wallet, providing its users with a wide choice of currencies for smooth and instant exchange. We are proud to announce our partnership with Trezor, one of the most secure hardware wallet in the industry. 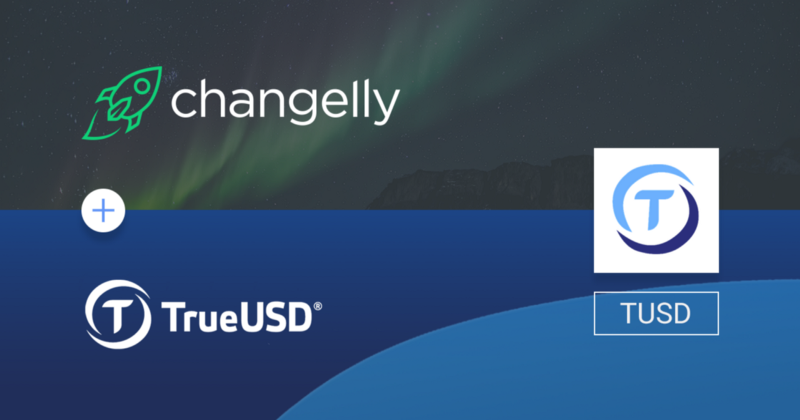 Now it has the Changelly exchange option that allows you to swap your crypto assets within the Trezor software. In September we listed two new stable coins, following the market trends and our users’ needs: DAI and TUSD. Dai is an asset-backed, cryptocurrency for the 21st century — the first decentralized stablecoin on the Ethereum blockchain. 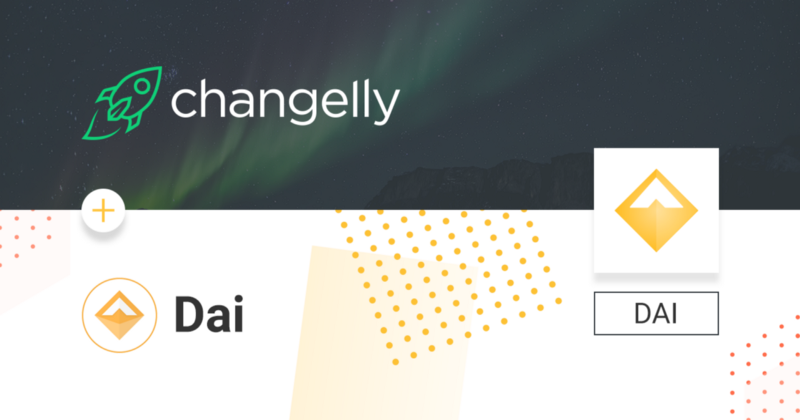 Dai is a fully collateral-backed currency token whose value is kept predictable relative to the US Dollar through a series of complementary financial incentives. By the way, we had an interview with DAI’s head of Marketing, feel free to check! TrueUSD (TUSD) is the token asset based on the TrustToken platform. The coin is backed by the American dollar and provides a direct 1:1 exchange to USD by successful passing the KYC/AML procedure with an escrow agreement. This month, we’ve releaseda dedicated web service for Aion swaps! It is a super easy way to swap your AION ERC20 Token to the mainnet Aion Coin. No fees, no registration, 1:1 rate. You just enter the amount of your tokens to burn and provide your mainnet wallet address. We do the rest. Here you can read more about how to swap your Aion the smoothest way possible. Our development team had a busy month, improving our service, getting read of some bugs and adding some cool features. We activated the support for DigiByte SegWit addresses, for the convenience of our users. Also, we re-listed Lisk Mainnet, and we are super happy to have Lisk back. That’s all for September! Wrap up warm, pour some tea and get ready for new cool stuff we are about to tell you up next month! P.S. Don’t forget to check our blog page, Changelly team’s Twitter account,Telegram Channel and to keep abreast of the latest Changelly news. Next Post:How to set up a Ripple (XRP) wallet?